Every day we are bombarded with hundreds of hashtags and trending topics. In our busy schedules it is not always possible to stay up-to-date with these but at the same time it is also important to not miss out on any important piece of information. 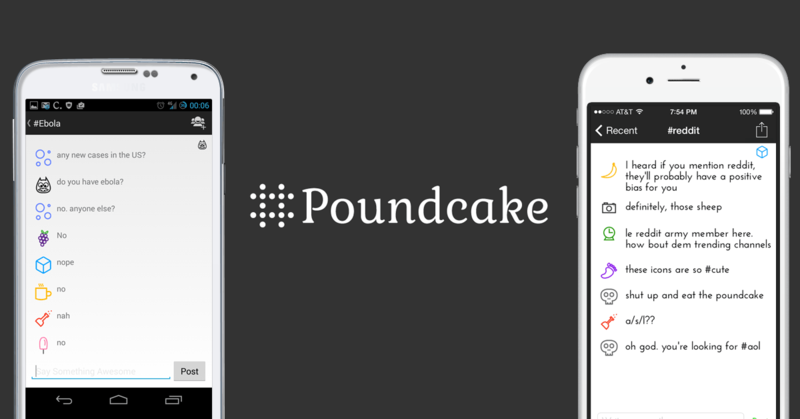 Well to make this process easy and swift there is a new mobile app in town called Poundcake. 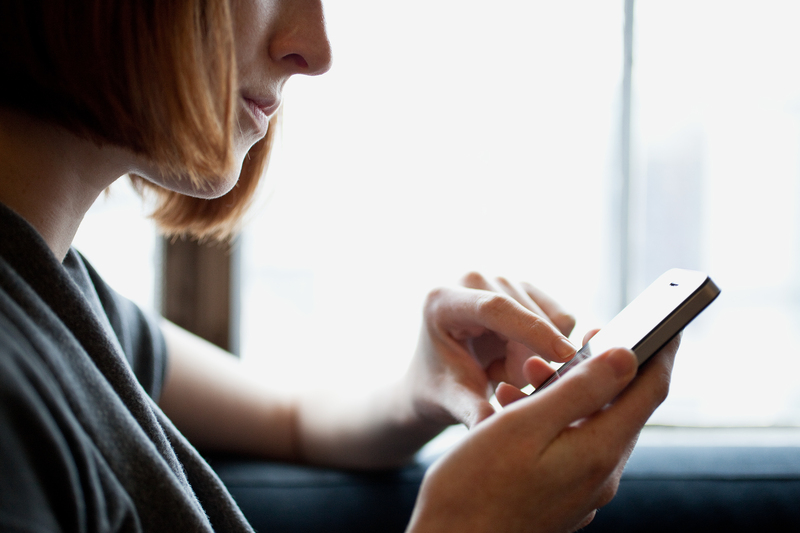 This app is out on a mission to make communication super fast. With this app you can now join or start exclusive conversations with folks on any hashtag or topic you wish to know or discuss about. Meet The Great Minds Behind It All! Ideated and co-founded by Jason Tezanos and Damien Sutevski, Poundcake is here to keep you informed about every topic that is trending. Jason is a freelance front end designer. Before taking the plunge into the tech world, he used to live in China and performed around the world as a Commedia dell’arte Arlecchino. It was a natural jump to mobile design since he used to develop flash games and websites in 2004. The mobile world dragged him in and he has been hooked on to it ever since. He is the one responsible for all the front end development and design for Poundcake. Damien, on the other hand is a solid Ruby on Rails developer and anything backend related. “Damien and I have been good friends since high school (2002 grads) and after I returned from living in the Philippines for 2 years in 2012, we got into a solid working relationship. We first shipped Blips, which I wrote a Medium article about. Next we built Poundcake”, says Jason. Poundcake is about super fast communication that is based on specific topics, mainly hashtags. The duo wanted to build a product that would allow anyone to jump into any room and just start talking. No need for signup, no forms to fill out – just super simple interactions. Anytime you join a room, you are assigned a random icon. The app has super rare icons in place too, and in its next update, users can pick a username to be displayed. Users can create their own rooms and invite their friends to join these rooms as well. Poundcake is a cross between a forum app, and a chat app – although it looks more in line with a chat app. Poundcake is here to simplify group communication. This app makes it super simple to create a group (Start a chat with any hashtag) and have meaningful conversations with those in that specific group. What we love about Poundcake is that you don’t need to sign up in order to participate. That’s not all; the app already includes some trending hashtags from twitter, a list of colleges, and what is hot on Poundcake so that users can have easy access to interesting tags worth discussing. “It’s a fun story. My wife Joan came to me one day and said “How about you make an app that allows you to create rooms that are hashtags.” I thought it was brilliant, although I didn’t quite think of IRC, she initially thought of it as an IRC like network that would be knowledge based, so anyone that knows about wine, could join the room #Wine and talk about it. Anyone with interest in football, could join #Football”, says Jason. He decided to make one big jump and not require signups, which he thinks is the app’s distinguishing factor. It’s an anonymous app that allows real conversations to be had, and when the next update is live, users can make smaller groups and use their real names so everyone knows who is talking. Like most startups, getting the word about the product out in the market to get more users was the team’s biggest hurdle. Fortunately, the app got posted on Product Hunt even though they were doing a soft launch. Nevertheless, with the next update, the team intends on going full force with marketing to significantly increase their user base. In terms of competition, anonymous apps like Yik Yak and Secret do pose as strong contenders. This is simply because they take the same approach to sharing information, that is, anonymously. On The Road Ahead & Intended Users! “The biggest thing that is happening is our next huge update for iOS. We had to pull focus and really get some nice features together to make our experience more compelling. We love the direction we are going and can’t wait for our users to give this new version a whirl. It is significantly better than our first version”, says Jason. At the moment, the app is mainly targeted at younger and tech driven crowd, more specifically, college students. The team has included a list of colleges and is rolling out an Ambassador program. This program enlists students that love Poundcake, and makes them representatives for the school they attend. The duo believes that this will really help with growth in their target market. Revenue is generated through monetizing hashtags. This is the big direction in which Jason and Damien sees Poundcake going in. Ultimately owning a hashtag (thus owning that specific room) would allow users to completely change how the room behaves and looks. They could purchase icon packs to be used in rooms, and more specifically, themes for each room as well. Poundcake is now available for download on Apple and Google Play Store. Download it today and stay informed about any topic you wish to discuss and know about! Previous articleSlideRule Helps You Upgrade Your Skills & Grow In Your Career! Next articleGrow Your eCommerce Business With LemonStand!